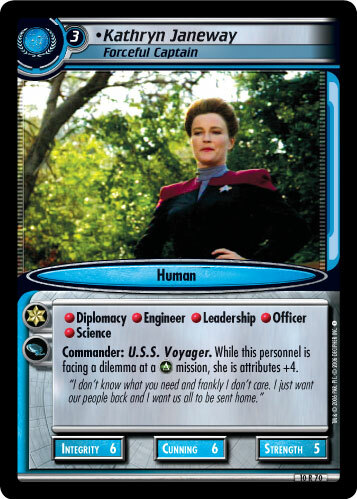 Admiral. 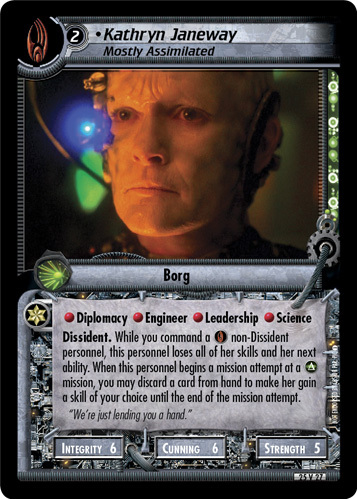 When you play this personnel, if you have completed a mission requiring Engineer or Science, she is cost -4. 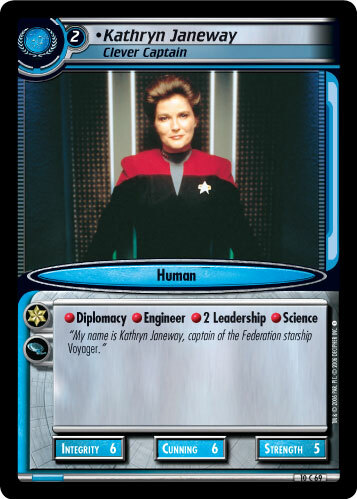 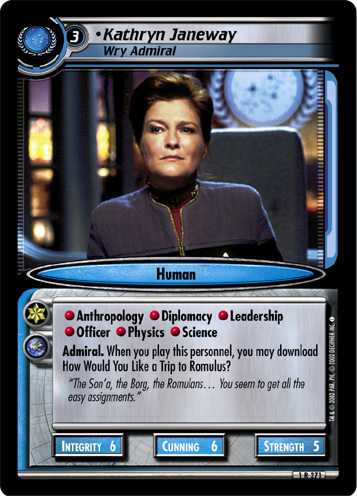 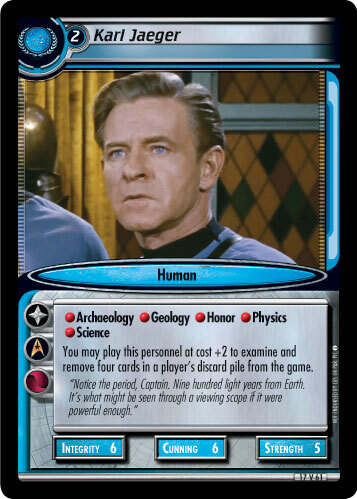 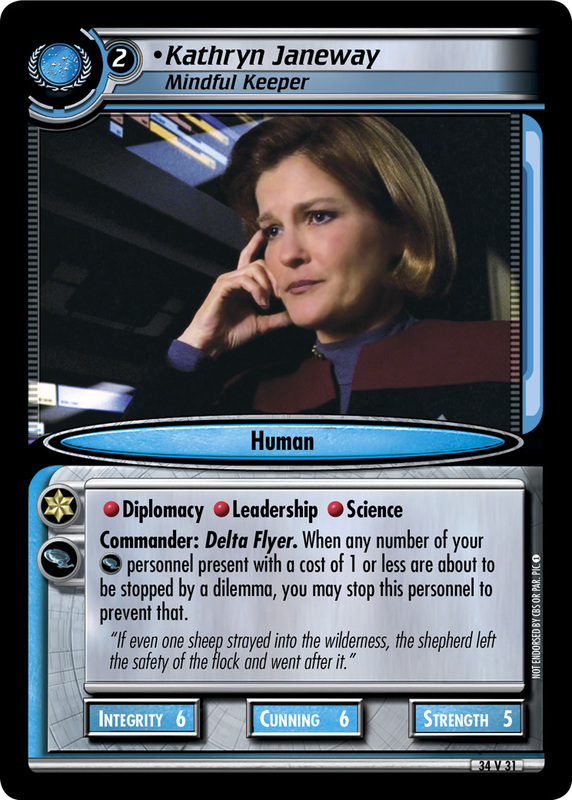 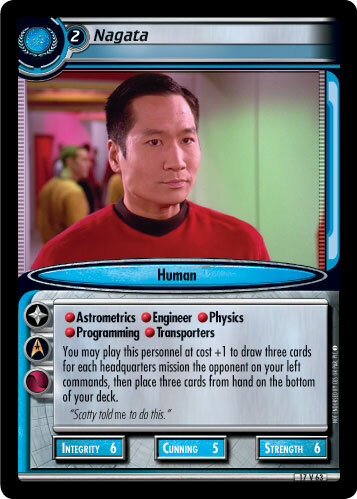 When you play this personnel, each player may download an equipment card or a Temporal card. 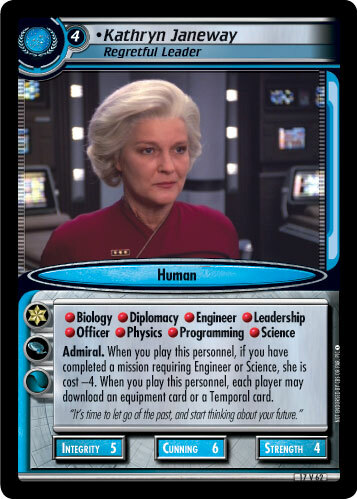 "It's time to let go of the past, and start thinking about your future."